Ruth Delzeit, Kacana Sipangule and Rainer Thiele (Kiel Institute) argue that without concerted efforts to help small-scale farmers raise productivity and adapt to climate change the international community will not come close to ending rural hunger by 2030. The recent 21st Session of the Conference of the Parties to the United Nations Framework Convention on Climate Change (COP21/CMP11) in Paris took an important step towards reaching a universal agreement to combat climate change and boost the transition towards resilient, low-carbon societies and economies. Yet, some global warming will arguably take place anyway. The group that is likely to suffer most from climate change is poor rural households in developing countries who mainly rely on small-scale agriculture for their livelihood. In large parts of Sub-Saharan Africa and South Asia, the two regions with the highest incidence of undernutrition, reaching the ambitious SDG 2 (end hunger until 2030, achieve food security and improved nutrition, and promote sustainable agriculture) appears to be a daunting task even in the absence of climate change. By lowering agricultural suitability and yields in some regions, climate change adds to the challenge. The highest absolute net decline in areas suitable for agricultural production is found in Sub-Saharan Africa (Zabel et al. 2014). Yields are expected to decline by almost 10 percent in Sub-Saharan Africa and South Asia (Knox et al. 2011). At the same time, Sub-Saharan Africa in particular shows a large gap between current yields and maximum attainable yields, which points to untapped production potential (Mauser et al. 2015). Farmers are already confronting the twofold challenge of finding new ways to close these yield gaps while at the same time adapting to climate change (Thornton and Lipper 2014). Responses include the adoption of more resilient production systems, diversification towards new crops and non-agricultural income sources, and improved risk management and the sustainable intensification of agricultural production. However, given the multiple constraints small scale farmers face the potential to raise productivity and adapt to climate change is unlikely to be fully exploited without strong support by the international community. We identify three major areas in which the international community has a role to play. Other institutions like the OECD’s Development Assistance Committee are already active, but getting the G20 involved has the big advantage that emerging economies such as China, India and Brazil, which have strongly expanded their engagement in developing countries over the last decade, are much better represented. Small scale agriculture supports millions of people in the regions that are to be affected the worst by climate change, yet research that specifically targets the linkages between food security and climate change in these regions is limited. The international community has a key role to play in encouraging the development of agricultural technologies that support adaptation strategies of smallholders to climate change. Agricultural research for development should encourage the development of localized solutions to climate change. As mentioned above, regions around the equator in Africa as well as those in East Africa and Asia stand to gain from increased agricultural suitability. Agricultural technologies that promote the sustainable intensification of agriculture while taking into account the changes in local conditions may put these regions in the lead as regional cereal producers. Areas that face reduced agricultural suitability due to reduced rainfall would be well advised to invest in agricultural research that promotes new technologies such as the breeding of drought resistant crop varieties as well as improved irrigation techniques. In contrast, technologies that promote the development of crop varieties with higher moisture tolerance as well as flood control mechanisms can be introduced in regions that experience increased rainfall and floods. Technologies that improve weather forecasting and early warning systems also need to be developed to enable farmers to better adapt to the variations in weather. Regional efforts such as the Comprehensive Africa Agricultural Development Programme (CAADP) that pledges to increase agricultural GDP has a huge role to play in prioritising agricultural research and development. The fourth CAADP pillar specifically targets improving agricultural research, technology dissemination and adoption. The international community should support these efforts to ensure better food security and climate change adaptation. The effects of climate change will be felt the strongest at the local level. Agricultural extension offices have long been the local institutions responsible for the dissemination of agricultural information to small scale farmers. In view of the impending effects of climate change on agriculture and food security these local institutions will have a special role to play in relaying information on climate change to farmers within their networks. With the support of the international community more emphasis should be placed on capacity building and training of staff at these local institutions. In addition, the private sector should be encouraged to step in to support the efforts of agricultural extension services that are overstretched. Innovative approaches that disseminate agricultural information by local institutions need to be encouraged as well. In Kenya, a reality TV show on farm makeovers that has over 3 million viewers uses science to scale out gender sensitive climate-smart practices. In Nepal, the Development Research Institute has produced radio jingles and public service announcements that advise over 1 million farmers on how to adapt to climate change. Moreover, local institutions can take advantage of rapidly growing mobile phone networks that allow for the dissemination of information on climate change adaptation strategies to small scale farmers via SMS texts. Local governments and the international community can work in a variety of ways to assist smallholders in managing risk. The provision of timely weather information can help rural communities manage the risks associated with high rainfall variability. Another example is livestock insurance schemes that are weather indexed. By reducing income risks, social safety net programs such as cash transfers could potentially also have a significant effect on risk management in agricultural production systems. Traditionally climate finance has taken centre stage in international climate change discussion rounds, with a much lesser emphasis placed on financing agriculture and ensuring food security. So far, climate financing and financing for agricultural development have largely been separate from each other. The UNFCC’s Adaptation Fund (AF) that has been financed by the proceeds from the sales of certified emission reduction credits under the Kyoto Protocol has been one of the principal sources of agriculture related climate funding. Since 2010, the AF has financed close to 20 projects that aim at promoting climate resilient agriculture and ensuring food security. Despite its relative success, the future of the AF is uncertain as revenue from carbon credits has been negligible. The operationalisation of the Green Climate Fund (GCF) is also expected to divert funds from the AF. The GCF was formally set up at the COP16/CMP6 in Cancún and is now being regarded as a possible game changer that might shift the balance between mitigation and adaptation funding. It aims to mobilise 100 billion USD by 2020, to be equally shared between mitigation and adaptation. The first eight GCF investment projects – four of them in the area of adaptation – were approved at the recent GCF Board Meeting that convened in Livingstone at the beginning of November 2015. These projects constitute a promising first step towards taking adaptation more seriously in international climate policy. For example, one of the projects aims at scaling up the use of modernized climate information and early warning systems in Malawi, a country that is highly susceptible to droughts and weather variability due to climate change. These efforts, and in particular the first projects approved by the GCF, indicate that adaptation to climate change and food security needs have begun to feature more prominently on the international climate policy agenda. The climate-related problems of developing countries were also discussed at the COP21/CMP11 in Paris, but the issue was clearly dominated by the search for an agreement on climate targets. Hence, there remains a need to create further momentum for developed and emerging countries to commit to a new balance between mitigation and adaptation and steer additional funds towards projects in developing countries that promote climate resilient farming and support vulnerable communities. 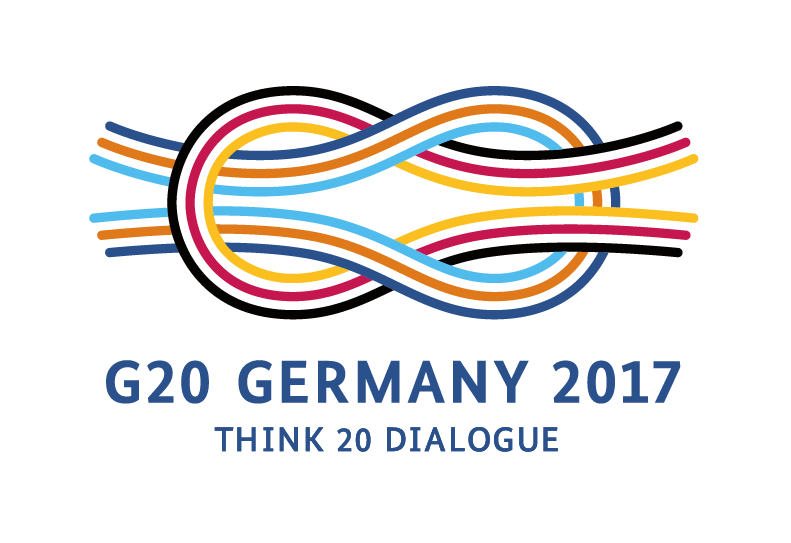 With its composition of main actors from both developed and emerging economies, the G20 is well-suited to play this role. To be able to contribute to both climate mitigation and adaptation, donor countries have to strengthen their commitments and fulfil their pledges to international climate funds. The United States, Japan, the United Kingdom, France and Germany have pledged the highest contributions towards the GCF. To date, Germany has disbursed 20 percent of the funds it has pledged in the GCF. The G20 could also provide a platform to better coordinate the efforts of the GCF with the AF and the various existing bilateral programs, and over time to achieve a consolidation of activities where the GCF serves as the principal source of financing for adaptation to climate change. Knox, J., T. Hess, A. Daccache, T. Wheeler (2012). Climate change impacts on crop productivity in Africa and South Asia. Environmental Research Letters 7, 034032. Mauser W., G. Klepper, F. Zabel, R. Delzeit, T. Hank, B. Putzenlechner, and A. Calzadilla (2015). Global biomass production potentials exceed expected future demand without the need for cropland expansion. Nature Communications 6, 8946. Thornton, P., and I. Lipper (2014). How does climate change alter strategies to support food security? IFPRI Discussion Paper 01340. Zabel, F., B. Putzenlechner, and W. Mauser (2014). Global Agricultural Land Resources – A High Resolution Suitability Evaluation and Its Perspectives until 2100 under Climate Change Conditions. PLOS ONE 9(12): e114980.